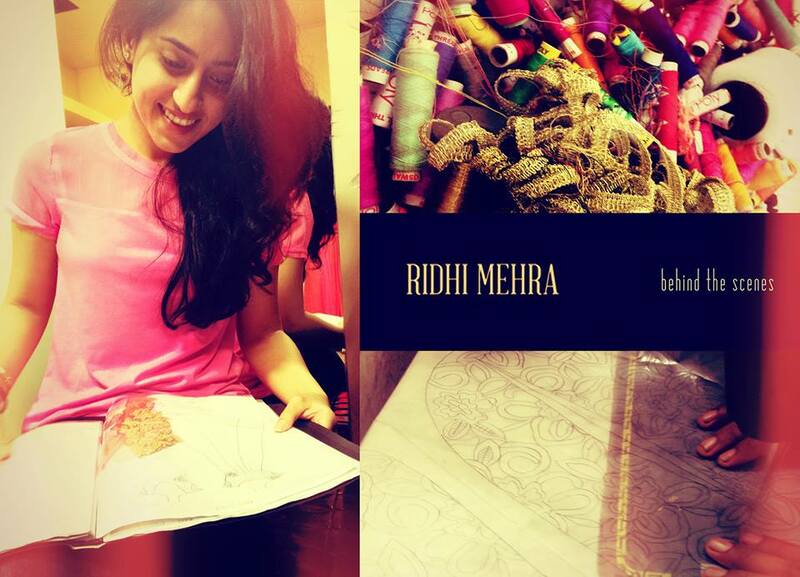 To say I’m smitten with all things Ridhi Mehra is an understatement! 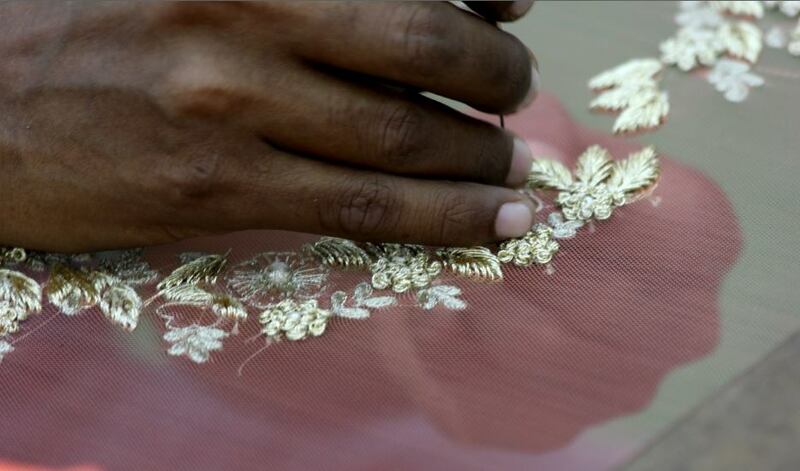 I began following Ridhi’s work last year once I spotted Sonam in that dreamy floral Anarkali. And on my wedding shopping trip last Nov I did spot that beauty of an Anarkali at Aza but they didn’t have my size : ( but my mum (a.k.a one stylish Auntie gee) bought a gorgeous coral outfit by Ridhi to wear at my Mehndi night. And Yep I will get round to posting a pic eventually! I love behind the scenes pics like this craftsman at work. I chose to collaborate with Atelier Mon because of two primary reasons. One being that effortless clothing and effortless fashion jewellery is the need of the hour. The two of them come together like house on fire. The second reason is that the design aesthetics of Atelier Mon and my label definitely coincide somewhere. When I first saw their pieces I could see the thought that had gone into each design and the fact that it was pure understated elegance made me decide that collaboration with them would be ideal to create a collection that was effortless and timeless. And How did you work together? Were you given a brief? Working together was a complete pleasure. The jewellery was designed entirely by Atelier Mon. We decided over a few ideas in the preliminary meetings, as what to do. Our initial idea was something totally different, and then after a lot of brainstorming we came up with this lovely well coordinated blue collection. 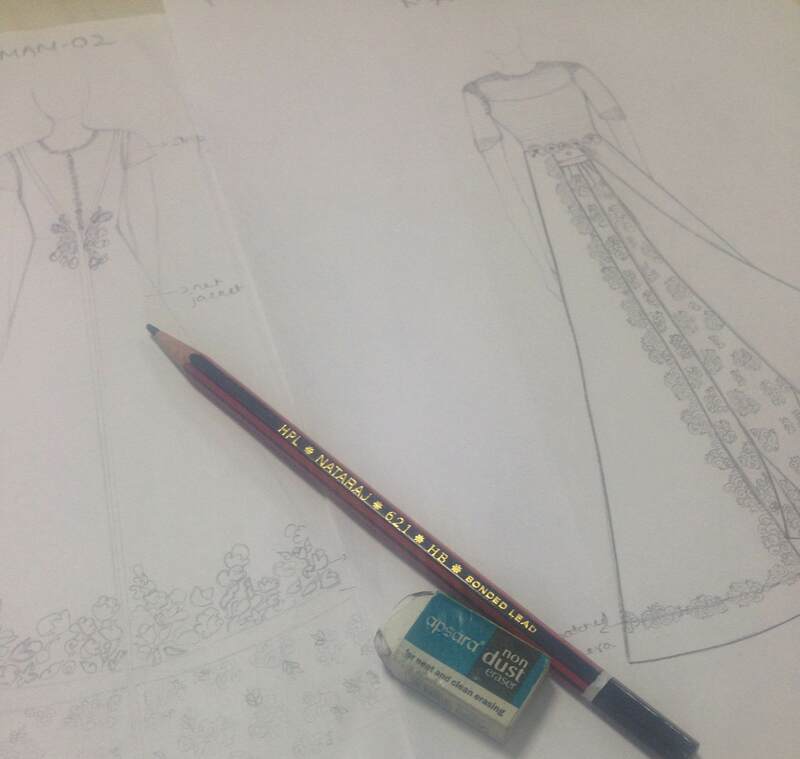 I started designing the garments, we sent the swatches, pictures, and eventually the garments to Atelier Mon for them to be able to design the jewellery pieces accordingly. My fave outfit from the collection and LOVEEE the ear cuff. What started off as a collection inspired by Middle Eastern- Blue pottery, went on become much more. The prints came from my travels and the motifs I saw on Middle eastern pottery and eventually it became all about creating a few pieces outside my comfort zone and doing something stand off for this collaboration. The final result were pieces that were a combination of prints and embroidery and a lot of western silhouettes. 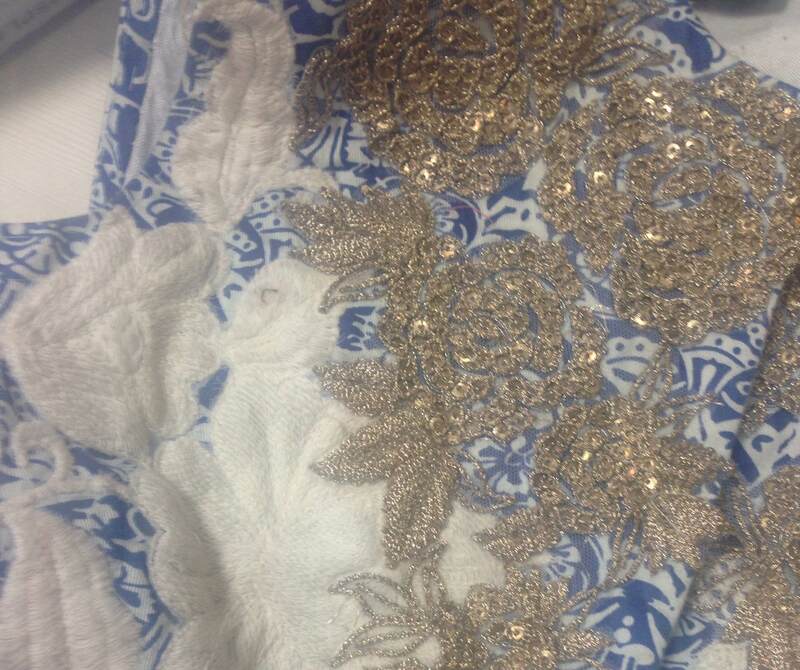 This is also the first time I have done some interesting sarees and anarkali gowns in breathable summer fabrics. Which is your fave piece in the collection? 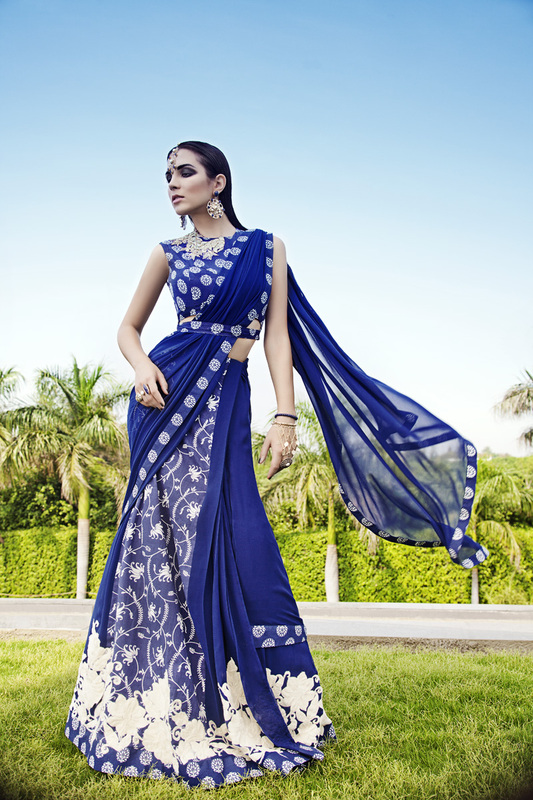 Majestic in Blue is my favourite piece from the collection. When are you coming to the U.K? Hopefully soon!! I love UK, have been there for 3 years for my undergrad. But no plans as of now, hopefully some opportunity might come my way!! Check out this fab behind the scenes video from the shoot. It’s great to hear about undiscovered talent. The creations are amazing! Its looks fantastic. Thanks for sharing. Thanks for your comment and for being a supporter of the blog.